How is this possible? Well, it's an interesting story, so pull up a chair and I'll tell you all about it. You see, the Hobby Crafters Foundation was founded back in 1944 by Dr. Arch McNeill. Doc was a Dallas physician who got an idea one day while making a house call to one of his patients, an older lady who lived on Irving Boulevard. She was a sweet lady who was well-known for having a pot of beans setting on the stove for anyone who came by hungry. Doc McNeill, seeing the need for some Christmas spirit, offered to craft some toys in his workshop for the lady to give out to the needy children at Christmas. So he got together with friends and patients, telling them of his plans to spread Christmas cheer. Work was started quickly to meet the rush of the upcoming holiday season. They worked tirelessly week after week to provide the disadvantaged children in the Trinity Bottoms with a handmade wooden toy for Christmas that first year. It was hard, but the smiles on the little faces were well worth it. 100 children were remembered by Santa! The following year there were 200 children that were found by Santa's helpers. Since then, an everchanging group of dedicated volunteers keep the legacy alive. "We've got the greatest comradery you've ever seen in your life", said Jerry Reichert, Head Hobby Crafter Elf, "People who are as old as 85. And they all get along magnificently!" He continued, "We've had as many as 10,000+ handmade wooden toys per year made and distributed, just in time for Christmas, to the disadvantaged children of the Dallas area. On Thursday evenings, we would meet at Doc's old workshop. Our dedicated volunteers (who we tease about being our 'little elves') gather to build the toys needed for the next holiday season. We've even had a few chances to get noticed by the public. We were featured in Channel 4's 'Texas Country Reporter', as well as Channel 5's Evening News. There was even an article in the Texas Catholic entitled "Toy World - For Hobbycrafters, it's always Xmas". As the funds and supplies decrease, the number of disadvantaged children increase. However, Doc's philosophy stays rock solid. Hobby Crafters continues to provide a handmade wooden Christmas toy to as many disadvantaged children as possible! A new chapter has begun for the Hobby Crafters, in June of 2014 the family of one of our elf's, Paul Mason, committed to provide a new facility to build toys for many years to come. Jerry Reichert had a short list for what he felt the new facility needed 1) safe location 2) bathroom 3) heat. A 9000 sqft building was purchased in Downtown Garland in late October 2014 that exceeded all those requirements and many more.. The following months were dedicated to remodeling the building to specifically meet the needs of the Hobby Crafters. 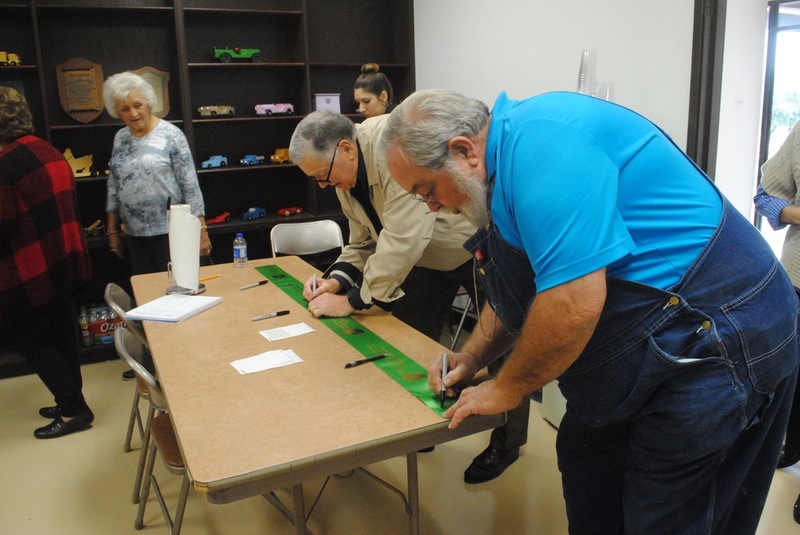 On November 7th 2015 the Hobby Crafters were extremely pleased to host their Grand Opening of the new facility. Many current, past and new volunteers attended as well as the city Garland. Today, Hobby Crafters continues it's work, but has many urgent needs. Updated equipment is needed to replace the antiquated tools currently being used, supplies are needed to meet the demand for this years' toys, and of course operating capital is always a concern. We are also looking for volunteers with wood working experience to help on Monday's, Wednesday's and Thursday's from 9am until approximately 12pm. Although Doc McNeill and his generous donor friends have passed away to the great toy shop in the sky, the spirit of Christmas lives on in the work of our elf friends. "I just wish someone would adopt us and help us with our budget", said Mr. Reichert, adding that the benefits their gift can bring are high. "If you put a dollar into my cause, I'm going to come out with a dollar's worth of toys. There is no overhead, no salaries to pay because we're all volunteers", he said, "If you take the total number of toys that we put out and divide that by the number of dollars we spent, including the light bill, they cost $1.63 total. Can you imagine that?" But most of all we need dedicated volunteers who enjoy working with wood, tinkering with tools, and making a child's Christmas a little brighter. 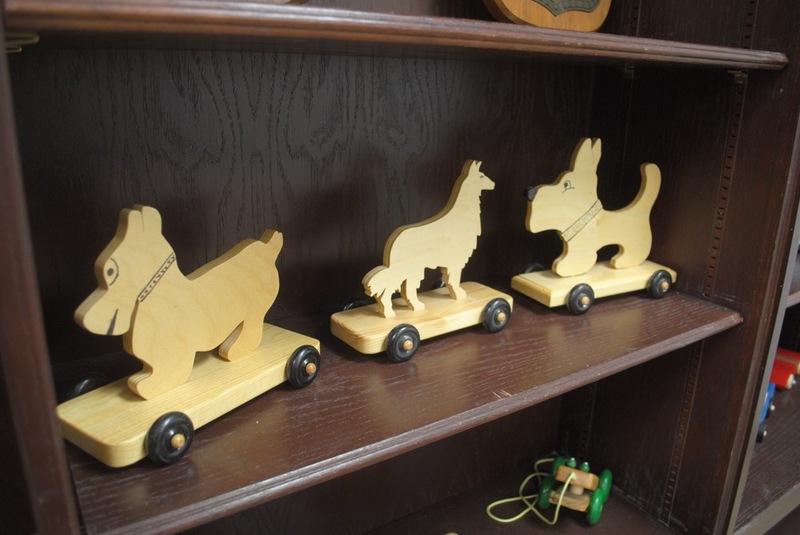 This year we need 10,000+ toys for the disadvantaged children to each receive a handmade wooden toy from Hobby Crafters! We need your help! Please come by, visitors are always welcome. And as Doc McNeill would say,"You really need to breathe more saw dust. Show up and see us this Thursday night."